Canadian researchers are trying to learn about space from recurring frequencies that form outside our galaxy through a new radio telescope. 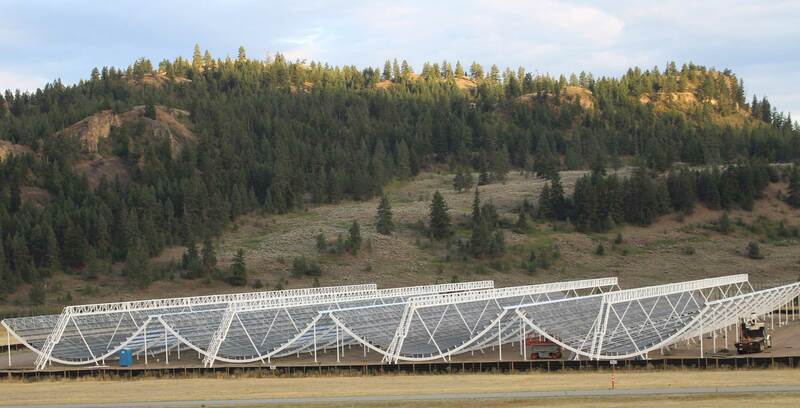 The Canadian Hydrogen Intensity Mapping Experiment (CHIME) is a new form of radio telescope that looks to gather data from hydrogen, pulsars and Fast Radio Bursts in space for research purposes. The telescope scans 1024 separate areas in the sky and gathers thousands of points of data every second. This process uses 2500 CPU cores and 32,000GB of RAM, according to the CHIME website. It does this since part of its use is to look for Fast Radio Bursts. These are frequencies from space that generally last for a fraction of a millisecond. Given that these bursts have no explanation, CHIME’s primary goal is to gather additional data on them to give researchers a clearer picture of what might be causing the frequency. Since its construction CHIME has been able to find 13 frequency bursts and discovered that these bursts also appear at lower than previously thought frequencies. One of the newly discovered bursts had such a low dispersion that CHIME’s theory suggests it’s from a source closer to earth than any previous burst, reports Ars Technica. The most important discovery is the frequency ‘FRB 180814.J0422+73.’ This frequency is notable since it reached Earth on multiple occasions, making it the second time that any researchers have recorded a Fast Radio Burst twice, according to Ars Technica. Now, researchers have decided that multiple bursts from the same place are just extremely sporadic. Overall, the new radio telescope has helped scientists gather more data on these space frequencies. For now, however, there is no concrete theory for what causes them.